Please remember to bring a snack or treat to share. There will be a potluck snack/treat table, mostly for later on Saturday afternoon, but also for later on Friday night in case you get the munchies. Also, remember the Sturdy Music Stands you have at your house. Bring them and it will all be wonderful! Click here for the post with links to Camp UTABA info, and for the PDF with the schedule and a list of what to bring. All the T-Shirts are sorted and ready to hand out! We get to wear them for our picture Saturday which is going to be awesome! Today is ONE MONTH from the date of our first concert! Promotional materials and a press release will be sent out soon. For now, share the Facebook event with your friends and relatives! This Saturday we still have rehearsal, even though it's fall break and also ACT. Just a reminder to fill out the attendance form if you're missing rehearsal so I can pull out your card. I have added a feature that gives you an email receipt when you fill it out. All chaperones are taken care of! Thank you! You're all WONDERFUL! I have been doing some experimenting, and if I move the boys to two of the bigger cabins, I can make the sleeping arrangements work for the retreat with just one more male chaperone and one more female chaperone in addition to everyone already signed up. See the Volunteer Collaboration by clicking here or just reply to this email. 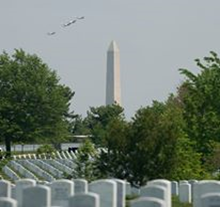 Thank you for your consideration and interest in the NUYS Washington DC & Gettysburg Tour. Today, we were unable to secure (50) deposits or instrumentation for the Washington DC 2017 tour. As promised, we will return each paid deposit. Deposit: $50 due Saturday, November 5th. First fundraiser starts November 5th! We want everyone to come! Join the Tour! Start saving now and clear your schedule! We want to make this trip happen! You can apply your deposit to the NUYS Southern Utah Tour OR you can ask for your deposit to be returned. Please let us know by November 5th how you would like your deposit handled. I have attached a PDF of the NUYS Retreat Schedule. Please look it over. There are a few students who can't attend the whole retreat, so please let me know if we should not be expecting you for any meals, etc. Also included is a list of things you'll need to bring (including a music stand), and important phone numbers. Please let me know if you have any questions! Here is a link to Camp UTABA's website. Here is a link to Camp UTABA on google maps. NUYS needs a minimum of 50 participating musicians in order to book the tour. I have posted the Volunteer Collaboration from the white board at the parent meeting. Please feel free to have a look and add your name, see what you signed up for, and edit as needed. At the moment, I am most in need of more Male Chaperones for the NUYS retreat October 28-29 in Ogden Valley. I need a total of 8 men spending the night! Remember, you don't have to be there for the whole 24 hours, just overnight (about 8:30 pm to 8:00 am). If you decide to stay for any meals, we ask that you contribute to the cost of your meals. This adds up to $25 total. We hope that you are getting excited about the NUYS 2017 Washington/Gettysburg tour. Attached you will find a PDF version of the brochure and flyer that was presented at the parent meeting. As a committee, we are excited to tour our country's rich history which students can experience through music. Since our parent meeting, there have been a few questions. Attached you will also find a tour FAQ. If you have any further questions or concerns, please send them our way! Just as a reminder: In order to proceed with the tour plans, NUYS will need a $100.00 non-refundable deposit per musician by the end of rehearsal Saturday, October 15th. In the event that there are not enough tour participants (50 musicians), your deposit will be returned. When has NUYS (or Lincoln Youth Symphony) toured? In 2007 Northern Utah Youth Symphony (a different organization, Mr Dunn's Orchestra) toured to Jamestown, VA.
Is this a “once in a life-time” tour? It could be. This may be the one opportunity to play on the hallowed grounds of Gettysburg. At this time, we don’t know of any youth symphony group that has performed at Gettysburg National Park. In August, the park sponsors a two-day music event that features traditional Civil War musical instruments (fife, drums, mandolin etc). Who knows (maybe only Google), but we could be the first! Will NUYS tour next year? NUYS would like to take the next step and offer a tour option every other year. When is the 2017 Washington D.C./Gettysburg tour? From the parent meeting survey, those selecting “I want to attend and will pay a $100.00 deposit…” overwhelmingly determined the tour date. Specific days/times during that week will be determined after October 15th. What about traveling with my instrument? NUYS and the Music Celebrations will be working with local schools in the Washington area to borrow larger instruments as well as music stands. As the tour plans progress, details will be announced when available. Can I take my family? Yes! But the tour requires NUYS FIRST to have (50) committed musicians, mainly for instrumentation. NUYS is made up of talented young musicians and has such a rich sound. We would not want to present anything less. How much will it cost my family members? Right now, we anticipate the costs to be the same as musicians (based on quad occupancy and number of participants). If a family decides to only put one or two people in a hotel room, there are additional fees. The fees are outlined in the brochure by Music Celebrations. This portion of the tour is still being outlined. My student does not have a job. How can he/she earn money? Musicians will be provided a letter outlining the NUYS tour that can be handed out to prospective donors. Individuals will have the opportunity to donate to an individual’s tour costs. This method has proven effective with school tour trips. Other fund raisers might include selling items such as hot chocolate, Fat Boys, Papa Murphy’s Gift Cards etc. These will be determined by the Fundraising Committee after October 15th and one a month will be offered for those interested in participating. How Much Does an individual earn from fundraisers? Typically, a student can earn up to 40% per item sold on an individual fundraiser. Some fundraisers are dependent on the drive of the seller. For example, at one school, a student sold 17 boxes of Fat Boys and raised $170 individually. Will NUYS Fundraise as a Group? Yes. NUYS will continue to expand on the Gala and possibly hold an additional group fund raiser to raise funds over and beyond the essential operating costs. It’s important for NUYS to raise funds first for the operating costs of the organization (through the grocery store cards & the Gala), then raise funds for the tour. NUYS (LYS) Goes to Washington and Gettysburg! I just wanted to let you know of an opportunity to join the current Northern Utah Youth Symphony (formerly Lincoln Youth Symphony) on tour next June. Past members, especially alumni, are welcome to participate. Go to this link on our website for lots of information including links to PDF info sheets. If we do not get a commitment of 50 musicians by October 15, we will not be going on this tour this year. Let me know if you desire more information. Thanks! I'd like to have everyone's info long before the Oct 20 final deadline.